GTN Presents: No Time to Train For An IRONMAN? As part of the partnership between the Global Triathlon Network (GTN) and TrainingPeaks, we’ll be bringing you twice-monthly episodes of the “Triathlon Training Explained” show, where hosts and former pro triathletes Mark Threlfall, Fraser Cartmell and Heather Fell answer your triathlon training questions with the help of TrainingPeaks software, coaches and industry experts from around the world. Whether you’re trying to balance IRONMAN training with a demanding job, a family—or both—training for 16+ hours a week can get pretty darn tricky. Time management becomes a necessity, but even then it’s possible that you just need to reduce your training hours and make it work. But don’t worry, it’s entirely possible. 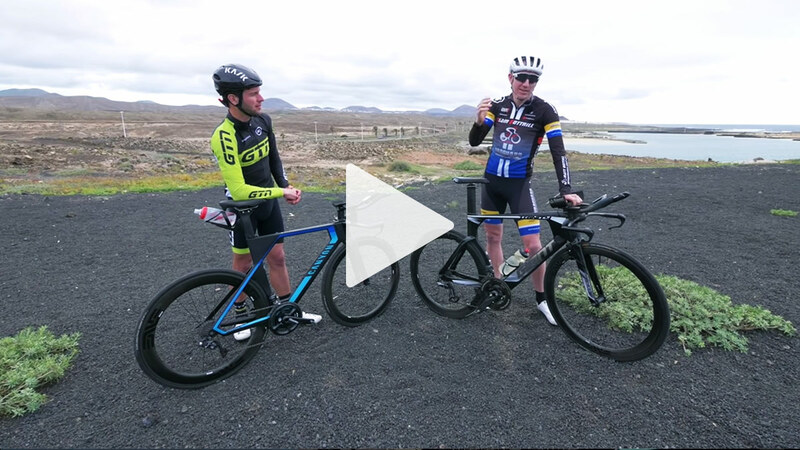 In this episode of Triathlon Training Explained, former pros Fraser Cartmell and Mark Threlfall discuss ways to make your key workouts during the week pull double duty and help get you ready for that IRONMAN start line in fewer overall hours per week.